Where is most flow cytometry research taking place? Are you currently thinking about your marketing for flow products for the coming year? If so, today’s data will give you an essential insight into the institutions and countries most active in flow cytometry, and will help you target your efforts in the most efficient way. To compile today’s data set, CiteAb manager Rebecca has examined citations for flow cytometry use at research institutions around the world, and compared these with overall citations for life science research. This gives a picture of those institutions that are particularly strong for the use of flow cytometry. Harvard University remains the top institution for flow cytometry research. Globally, the top two positions for life science research are held by Harvard University with 1.47 per cent and the University of Texas with 1.22 per cent of the global share. This is reflected in our data for flow cytometry use, with both institutions holding the top two spots respectively, with 1.71 per cent and 1.39 per cent of global flow cytometry citations. 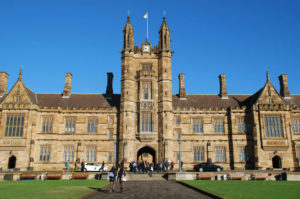 We then see some changes among the remaining eight within the top ten positions – with Baylor College of Medicine, Washington University in St Louis and the National Cancer Institute of Bethesda featuring for flow cytometry, whereas they’re lower in the global rankings for global life science research. We also see differences in the countries in which flow cytometry is big, compared to those doing large quantities of life science research. The US takes the bulk of the share in both groups, along with the UK – but China has a much larger share in overall life science research (25 per cent) than it does in flow cytometry (14 per cent). The spread of institutions that use flow is greater, with institutions from 18 different countries appearing in the top 100 institutions that use flow, while 12 countries hold the top 100 institutions overall. This week we’re giving away data for the top fifty institions using flow cytometry, and the top fifty institutions for life science research, so that you can do your own comparisons. These samples are part of a wider flow cytometry dataset – if you’re interested in seeing all of our flow cytometry citation data please contact Rebecca who will be able to help you.